Do you know, around 14% of British couples meet at work? 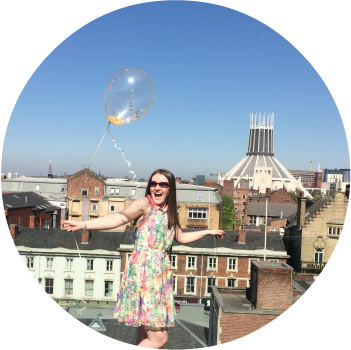 Being in that small percentage myself, I’m often asked how do I work and live with my partner? It got me thinking (now there’s a dangerous sport). 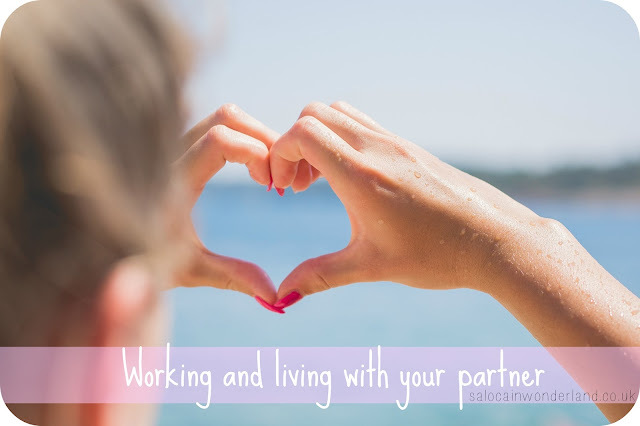 Working together is one thing, but living with your partner too? Surely that spells disaster? Stress, strain, talking numbers and strategy over the dinner table, quite literally living and breathing out of each others pockets 7 days a week? How the hell do we do it? We work the exact same job in the exact same department. We have the same responsibilities, colleagues, shift pattern, uniform. You name it, we twin it. Before we moved in together, I never really thought about how things might change, how things would have to change between us to keep doing what it is that we do without destroying our relationship. Think Johnny and Baby, this is my dance space, this is your dance space. No spaghetti arms! It's not that we don't love each others company, we're pretty fond of each other, but that space is like a no-mans land - if you spend too long there, don't blame me if you loose a limb. At home, I have my end of the couch, the Mr has his, and the same applies at work. I have my section, he has his. At times, we have to work right alongside each other, but we're professional and we keep the spaghetti arms under control. Work stays put like a well-trained puppy, no amount of puppy eyes will convince us to bring it home. It's not always easy, especially when one, or both of us, have had a really crappy day, heck, one of the best things about working together is we never have to explain the job to one another, we get it, we know whole heartedly why the other might be stressed or pissed off, and we will happily vent to each other, but there comes a key in the door moment when you have to leave it until another day, race into the sanctuary of your home and leave the damn puppy behind. Your partner left their wet washing on the bathroom floor again? You've been waiting how many weekends for them to cut the grass? When you're working together you can't go airing your dirty laundry around the water cooler - your colleagues are their colleagues. Whatever you say to them, it's going to influence how they see your partner, and there are some things you just don't want banded about the tearoom like a Judge Judy drama. So leave Judy at home, you can always pick up right where you left once you get back, away from gossip-hungry eyes! We commute together, we work together, we commute home together. That’s a lot of together. Everyone loves a little me time, be it hitting the gym, writing, gaming, or just catching up on some programmes that your other half might not watch. It’s not unusual for us to spend most nights apart. Sure, talking about work is fun (ok, who am I kidding? ), but without separate interests what else would we have to talk about? The weather? Just because we work together and live together doesn't mean we have to drop the ball when it comes to spending quality time together. Date night is so important, I love nothing more than heading out to catch a film or a drink, trying out a new restaurant or just simply going for a walk with the Mr. It’s too easy to get home from work, kick off your shoes and sit around the house, it gets too comfortable and requires zero effort. All relationships require work and effort, no matter the length or situation, you can’t stop putting the effort into your relationship - the moment you do, it’s over. Somebody once asked me if they thought our relationship was more difficult because we worked and lived together. Honestly, I don’t think we have any issues that other couples not in our situation have. We work really hard on balancing work and home life, we make time for ourselves and for each other. We go out socialising together, and separately, just like I’d expect any other couple to do! Sure, we’re in a different situation but it works for us. Could you work and live with your partner? Both me and my partner worked at home together for a few months - just projects lining up at similar times. Totally different jobs but it was interesting as you're literally at home together 24/7. I loved it though, totally made us closer - just be sure to get out and about a bit more!! I can't believe I didn't even know this! I actually think it's good. I've dated a colleague before and it's great in that you already know you actually like each other!